Reviewing Sea of Cortez (1941), Lewis Gannett of the New York Herald Tribune wrote that there is here “more of the whole man, John Steinbeck, than in any of his novels.” That is true, but many readers prefer the whole man light, perhaps in a book like Travels with Charley. Sea of Cortez must be savored, read paragraph by paragraph. Thoughts are organic, branching off, bursting forth. And Ed Ricketts wrote the long “Easter Sunday Sermon,” tough going for even the most devoted Steinbeck aficionado. If the deepest level in Sea of Cortez is mythic, another level was scientific, the poetry of the intertidal. Steinbeck, Ricketts, Carol and the crew collected at numerous intertidal sites in the Sea of Cortez, looking at species distribution. 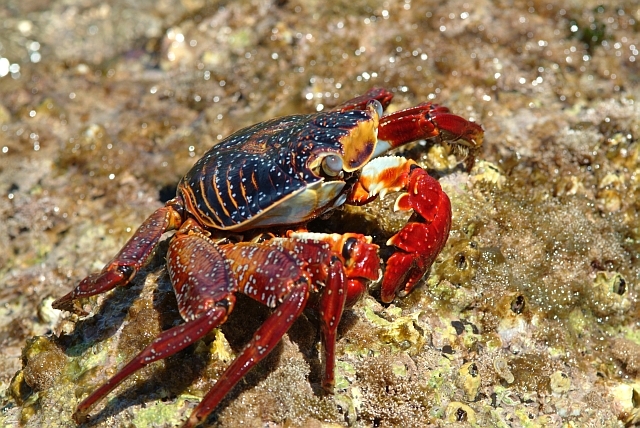 We collected down the littoral as the water went down… The uppermost rocks swarmed with Sally Lightfoots, those beautiful and fast and sensitive crabs. 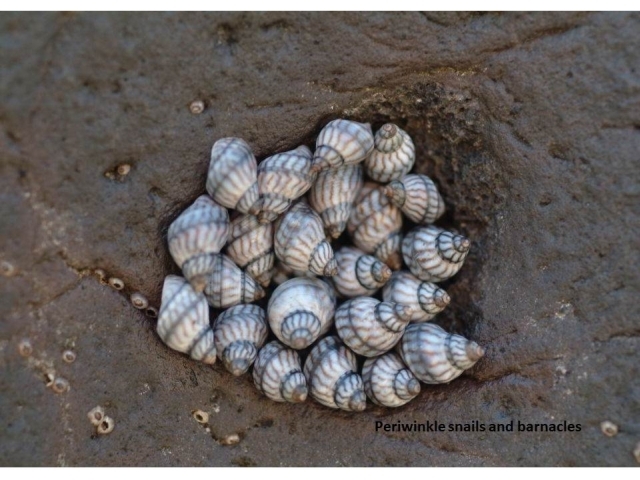 With them were white periwinkle snails. Below that, barnacles and Purpura snails; more crabs and many limpets. 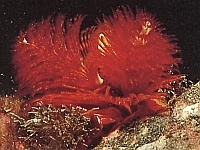 Below that many serpulids—attached worms in calcareous tubes with beautiful purple floriate heads. 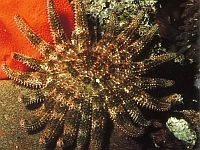 Below that, the multi-rayed starfish, Heliaster kubiniji of Xanthus. With Heliaster were a few urchins, but not many, and they were so placed in crevices as to be hard to dislodge…. Lower still there were to be seen swaying in the water under the reefs the dark gorgorians, or sea-fans. 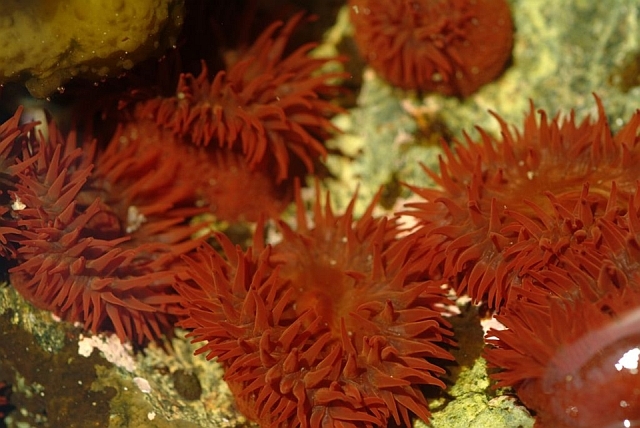 In the lowest surf levels there was a brilliant gathering of the moss animals known as bryozoa; flatworms; flat crabs; the large sea-cucumber; some anemones; many sponges of two types, a smooth, encrusting purple one, the other erect, white, and calacareous. 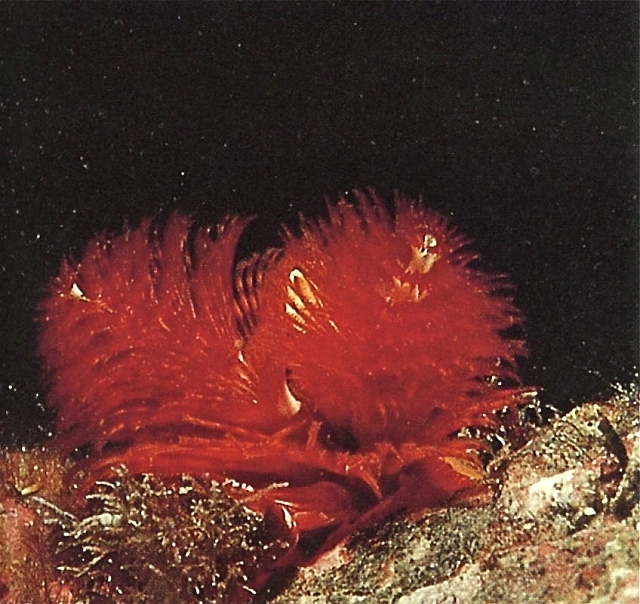 There were great colonies of tunicates, clusters of tiny individuals joined by a common tunic and looking so like the sponges that even a trained worker must await the specialist’s determination to know whether his find is sponge or tunicate. 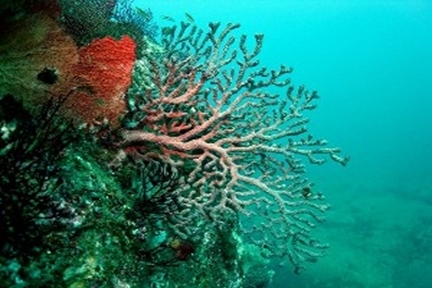 This is annoying, for the sponge being one step above the protozoa, at the bottom of the evolutionary ladder, and the tunicate near the top, bordering the vertebrates, your trained worker is likely to feel that a dirty trick has been played upon him by an entirely too democratic Providence. That layered catalogue sways with the retreating water, as intertidal collecting necessarily involves keeping one’s eye on retreating and incoming tides. A reader, like a visitor to the region, should gaze attentively at the species hidden in this dry, seemingly barren land, turn rocks carefully in the intertidal to see squirming brittle stars. To look, Steinbeck suggests, is the first step in understanding place, appreciating what is.